St. Louis, Missouri, located along the western bank of the Mississippi River on the border with Illinois is home to the tallest manmade arch in the world. The Gateway Arch is a 630 foot (192m) tall monument made of stainless steel and dedicated to the American people as a symbol of westward expansion. Designed by the Finnish American architect Eero Saarinen in 1947, the Gateway Arch was completed on 28 October 1965 after two years of construction. 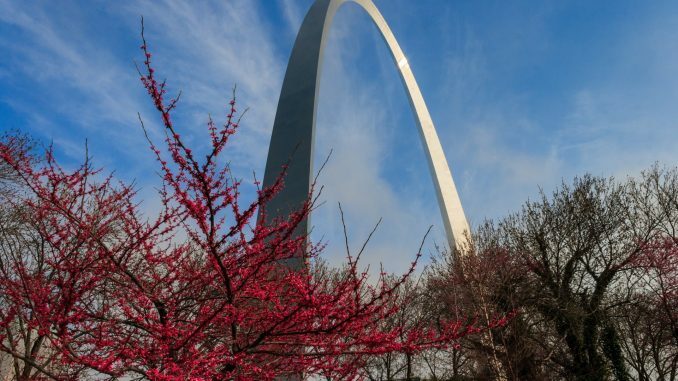 With an original price tag of $13 million, the Arch was the final design for a monument intended to stimulate the St. Louis riverfront economy and serve as a memorial to the men who made possible the western territorial expansion of the United States. The idea to renovate and rejuvenate the overlooked riverfront of St. Louis was proposed by Luther Ely Smith in 1933. He approached Mayor Bernard Dickmann with a proposal and after meeting with city leaders, Dickmann was able to lead the creation of the nonprofit Jefferson National Expansion Memorial Association (JNEMA) with the goal of creating a suitable and permanent public memorial. While many locals did not approve of dipping into the public funds, the city council decided it would be worth it to the city to approve $30 million for the construction project. Amidst the frustration of locals and the suffering of the Great Depression, Franklin D. Roosevelt signed Executive Order 7253 approving the memorial on 21, December 1935. The Executive Order allocated the 82 acre plot and appropriated $3.3 million through the WPA as well as $3.45 million through the PWA. As well as promising job creation for the local St. Louis area, it was determined that the memorial would be the Nation’s first National Historic Site. It was determined that the design of the memorial should be both aesthetically and spiritually pleasing by the National Park Service, and in conjunction with JNEMA a design competition was conceptualized. It was not till January of 1945 that the official announcement of a two-stage design competition was decided on, but continued lack of support for the project made fund raising an issue. The lack of proper funds meant that it was not till late May of 1947 that the contest was able to officially begin. The first stage of the competition was to narrow down the possible designers to five, and the second stage was intended to pick a single architect or design. On 1, September 1947 submissions for the first stage were received by the jury and labeled only with a number to keep the designers anonymous. After four days it was narrowed down to five from the original 172 submissions. Eero Saarinen and his team, with submission #144, made it to the top five and were unanimously chosen as the winners February 10, 1948. While the project did not provide the thousands of jobs as it had originally expected, it did serve as a catalyst for the restoration of the riverfront. 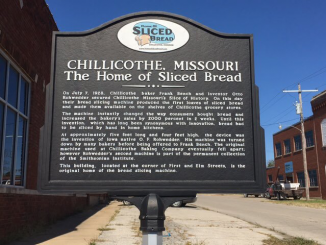 It is estimated that the building of the Arch is largely responsible for inciting more than $500,000,000 in new construction. Designed and built as a monument to represent the expansion of the United States, the Gateway Arch has not only become an iconic symbol for the city of St. Louis, but for the state of Missouri. The long financial struggles and heated debates that stalled construction for so many years seem unimaginable now that The Gateway Arch is etched into the hearts of all those that have seen it in person or lived in its long shadow. At 630 feet (192 m), the Gateway Arch is the world’s tallest arch and it is as wide as it is tall. It took 30 years from choosing the location in 1935 to completion in 1965. The monument opened to the public on June 10, 1967. The observation deck at the top can hold up to 160 people and there are 16 windows on each side. The Gateway Arch weighs 43,220 pounds. 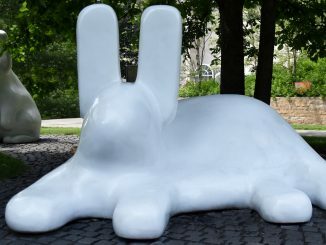 The design allows for a sway of 18 inches (45cm) in high winds or to withstand earthquakes. 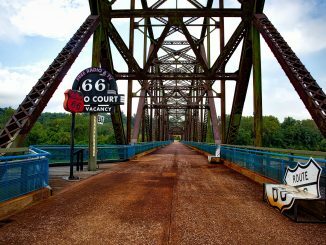 The arch was listed as a National Historic Landmark in 1987, and is also included in the National Register of Historic Places. 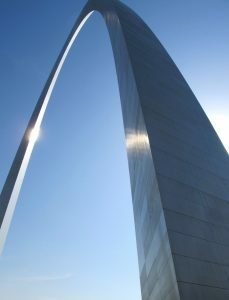 The Arch is the tallest stainless steel monument in the world as well as the tallest memorial in the United States. Take the “Journey to the Top”. Especially if you have children with you. It is well worth the money and the views are worth the price. Leave anything you absolutely don’t need at your hotel. Security may not let you take your switchblade to the observation deck. Arrive early (pre 10:00 am) to avoid the crowds. Beware! The Arch is metal and the outside will get hot after baking in the St. Louis sun for a few hours.